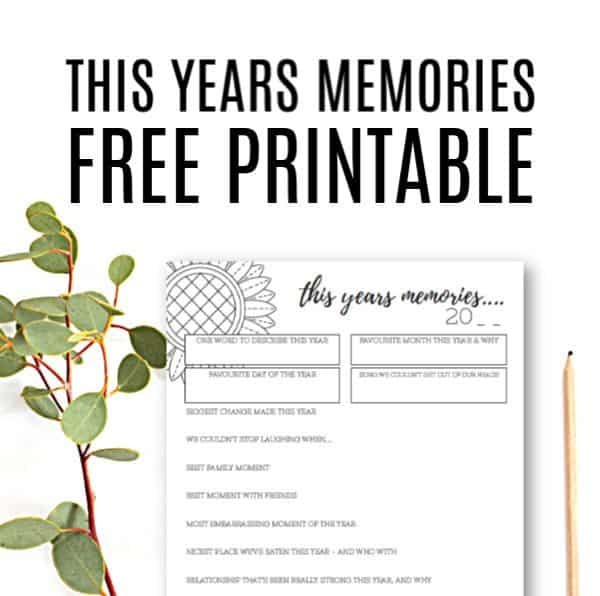 READY TO GET YOUR HOME PROPERLY ORGANISED, ONCE AND FOR ALL? 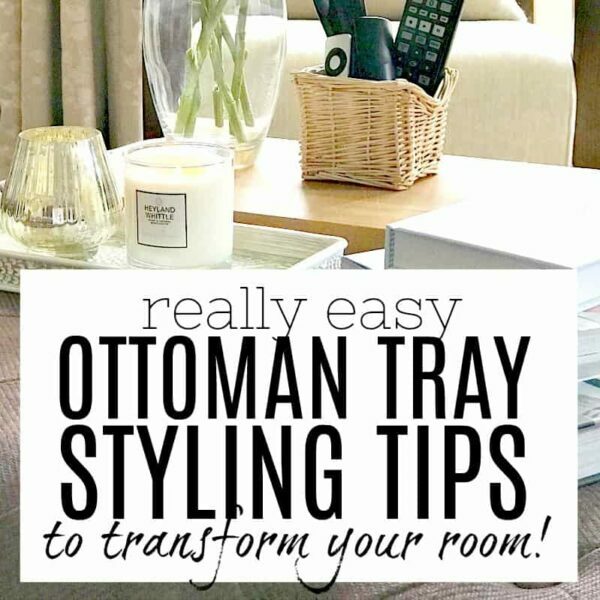 It can be so hard to know where to begin when it comes to organising your entire house, can't it!. 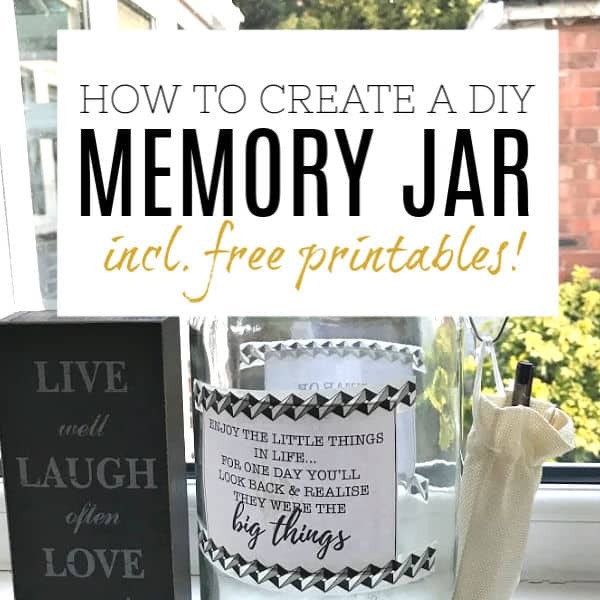 There are so many different items and rooms in the home, so much to store, and so many ideas - it can be pretty overwhelming to tackle it all at once. As such, I’ve split everything up into categories to make it easier to find what you want - room by room / belongings and storage. Simply click on one of the images below to go to posts on specific areas/items OR scroll down to find all the posts together. Hope this helps! 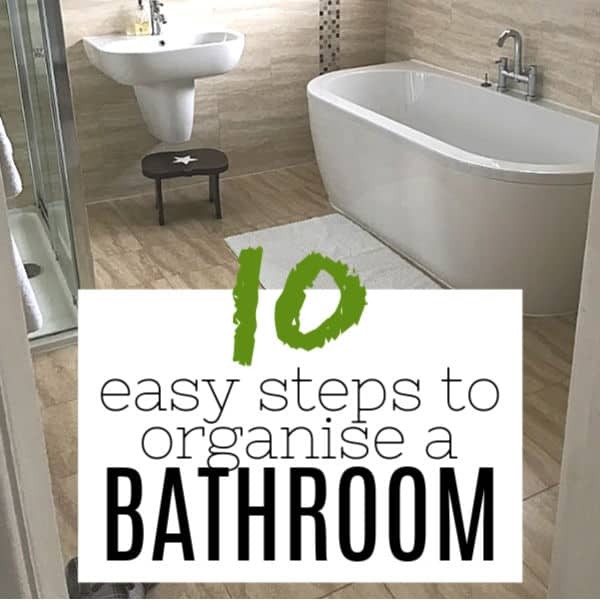 HOW TO ORGANISE A BATHROOM – 10 SIMPLE STEPS THAT REALLY WORK! Wondering how to organise a bathroom? You're in the right place! Use these easy steps to organise your bathroom once and for all. 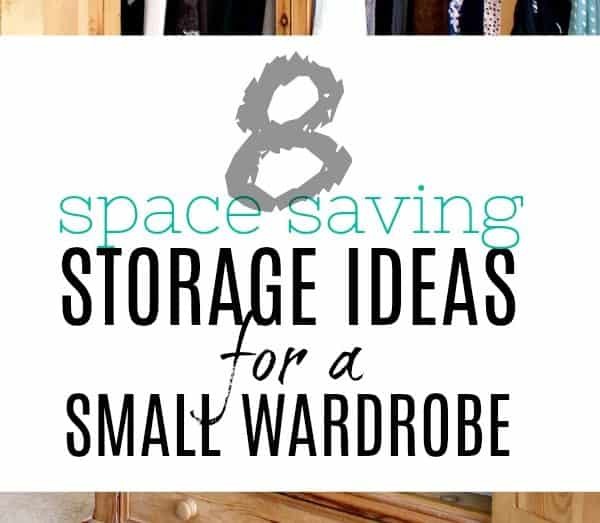 We talk about the top 10 things that you should think about when organising the space. 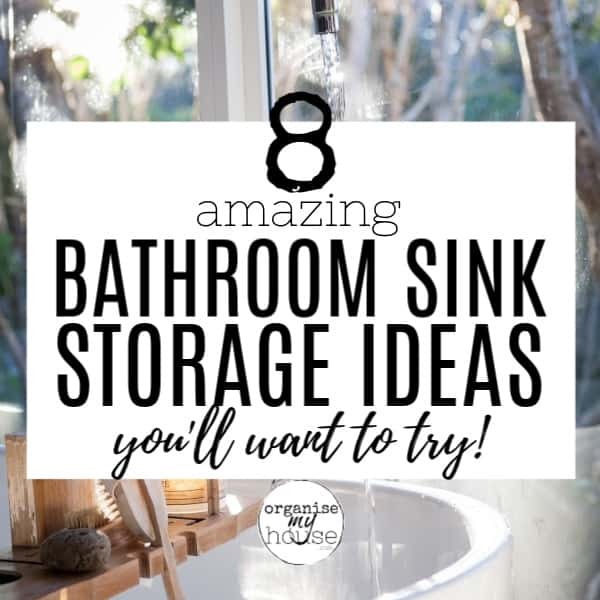 You really CAN make the bathroom work hard for you by following these steps and … [Read more...] about HOW TO ORGANISE A BATHROOM – 10 SIMPLE STEPS THAT REALLY WORK! THE BEST LEGO STORAGE IDEAS – HOW TO ORGANISE IT ONCE AND FOR ALL! Best lego storage ideas for your home. Ideas and inspiration to store, sort and organise Lego in any room. Learn how to organise Legos easily, where to store them, and what to do with the instructions as well - so you can enjoy your collection and keep it manageable at the same time. 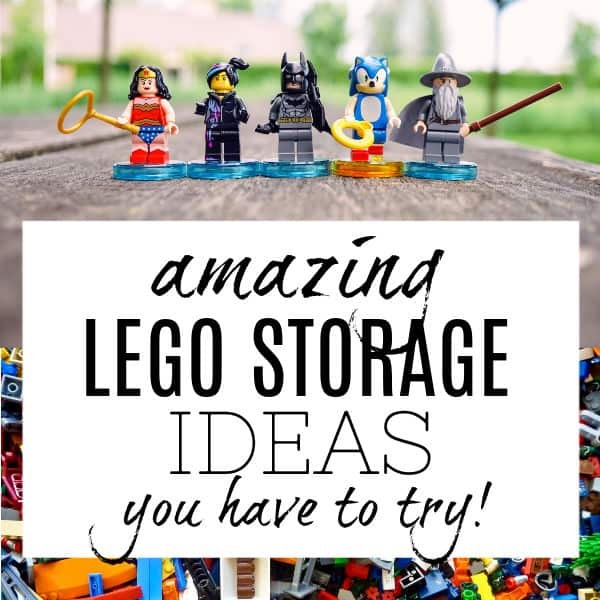 … [Read more...] about THE BEST LEGO STORAGE IDEAS – HOW TO ORGANISE IT ONCE AND FOR ALL! EASY CHEST FREEZER ORGANISING IDEAS (& QUICK TIPS) THAT REALLY WORK! If you're wondering how to organise a chest freezer so that it's easy to use, then these organisation hacks are perfect for you! Here are some amazing (and easy) chest freezer organising ideas and tips to help you do just that. Get your frozen food sorted, and make life simple in the … [Read more...] about EASY CHEST FREEZER ORGANISING IDEAS (& QUICK TIPS) THAT REALLY WORK! 7 CLEVER (& PRACTICAL) KIDS SOFT TOY STORAGE IDEAS THAT YOU’LL LOVE! Stuffed animals and cuddly teddy bears seem to breed when kids are around. 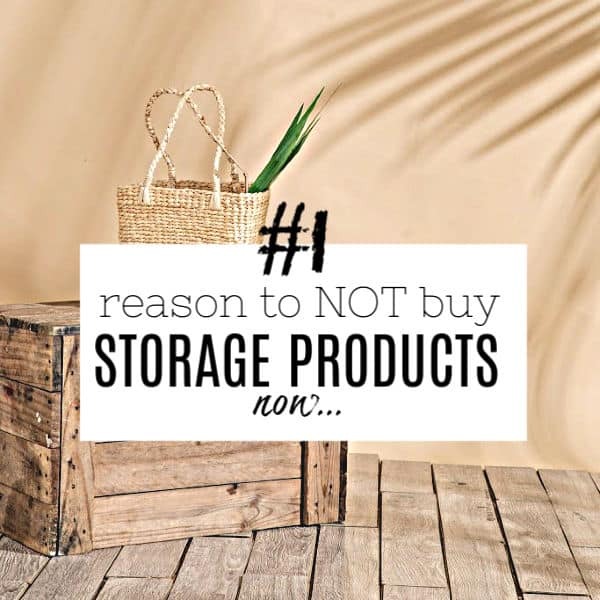 The issues with this are plenty - but none more so than how to store them all! As such, I've put together my ultimate list of soft toy storage ideas that will help tame the toy clutter and make their rooms a little … [Read more...] about 7 CLEVER (& PRACTICAL) KIDS SOFT TOY STORAGE IDEAS THAT YOU’LL LOVE! 11 INGENIOUS HIDDEN STORAGE IDEAS FOR AROUND YOUR HOME – THAT YOU’LL LOVE! Amazing collection of hidden storage ideas for all parts of your home (inside and out) that you'll want to use straight away!. Get started today and make the most of every square inch of your house - maximise it's potential! I love finding ways to maximise the space we … [Read more...] about 11 INGENIOUS HIDDEN STORAGE IDEAS FOR AROUND YOUR HOME – THAT YOU’LL LOVE! 6 SMART WAYS TO CREATE A HOME THAT DOES THINGS FOR YOU! When it comes to technology in my home, I'm behind. Way behind. I love the idea of making things work harder for me so I don't have to do as much. There's something quite magical about having products that do a job in your home without you having to do much in return (in fact, they are … [Read more...] about 6 SMART WAYS TO CREATE A HOME THAT DOES THINGS FOR YOU! They enable us to understand clearly how you use the site and track how you are using our website (what you have signed up for, for example). As a result, this helps us to develop and improve our website as well as products and/or services in response to what you might need or want. ACCEPT & CLOSE Find out more..